Open auditions will be held in Atlanta & New York to find the next Broadway star. 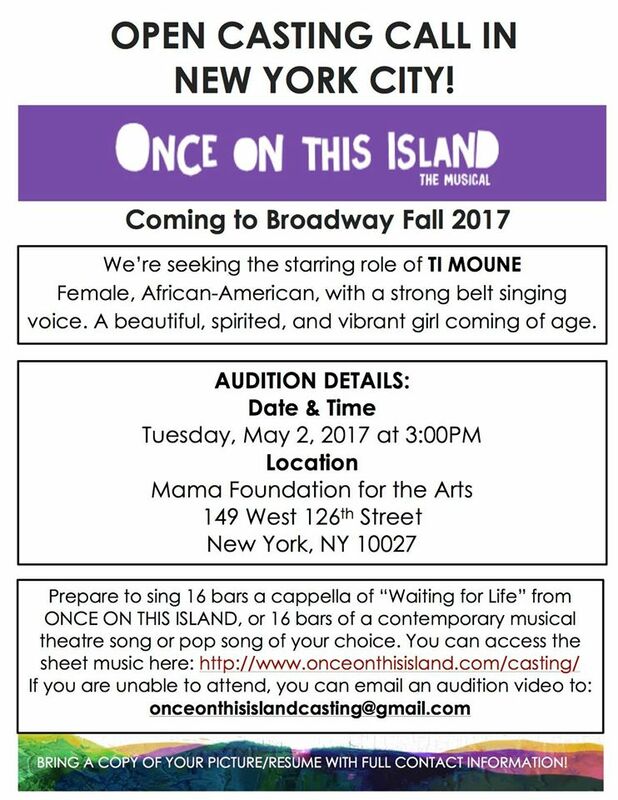 The casting team behind the new musical is on an international talent search to cast the starring role of Ti Moune. Auditions have been held in various cities in the last few weeks and are now headed to the ATL this weekend and then the Big Apple. The Atlanta open casting call is being held on the 30th of this month and the NYC open call being held the following Tuesday the 2nd. The show is looking for an exceptional female singer. The show is a love story set on an island where Ti Moune, a fearless peasant girl, falls head over heals for a boy from the other side of the island. Dived cultures stand in their way as Ti Moune is the poor girl in love with a wealthy boy. When their divided cultures threaten to keep them apart, Ti Moune, guided by the island gods, sets out on a remarkable quest to reunite with the man who has captured her heart. According to the show’s description, Once on This Island is bursting with Caribbean colors, rhythms and dance, the story comes to vibrant life through the score by Tony Award® winners Stephen Flaherty and Lynn Ahrens (Anastasia, Ragtime). The striking production by Tony Award-nominated director Michael Arden (Spring Awakening revival) transforms the reality of a tropical village devastated by a storm into a fantastical world alive with hope. The wiki page for the story describes “Once on This Island” as a musical based on the book written in 1985, My Love, My Love; or, The Peasant Girl. The story is set in the French Antilles archipelago in the Caribbean Sea. The show includes elements of the Romeo and Juliet story and elements of the Hans Christian Andersen fairy tale The Little Mermaid. The musical ran on Broadway in the 90s and will be coming back this year, 2017. 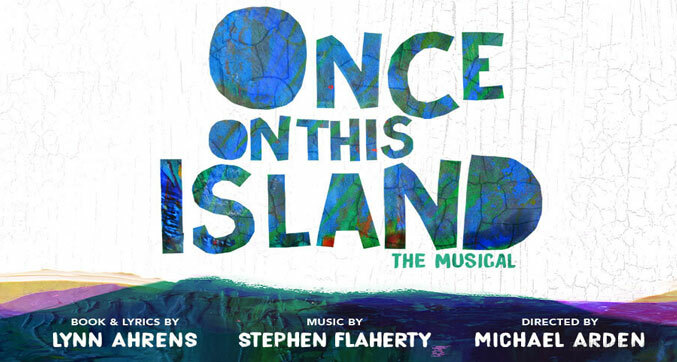 ONCE ON THIS ISLAND, is set to premiere on Broadway November 9th, 2017. Female, African-American, with a strong belt singing voice. A beautiful, spirited, and vibrant peasant girl coming of age, full of restless energy and optimism. The heroine of the story. She tries to break social barriers to be with her love, Daniel. 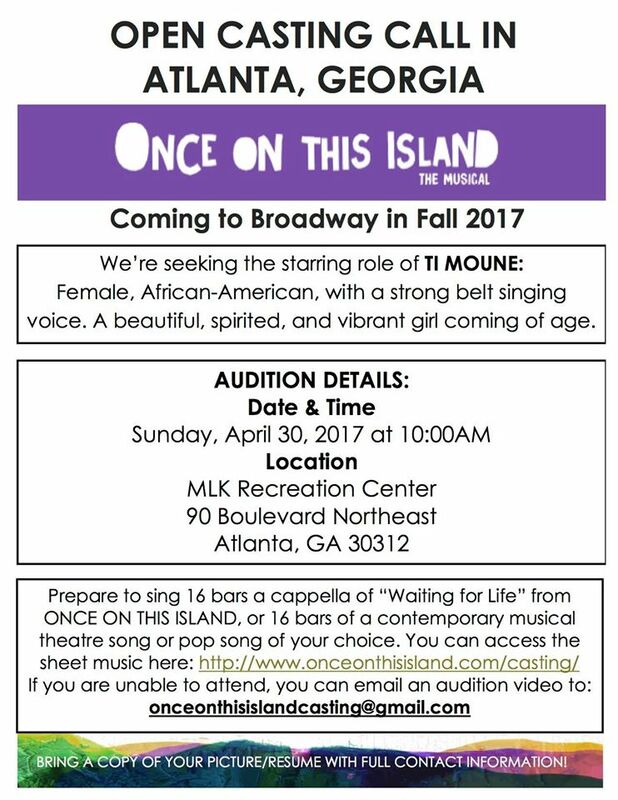 Open call in Atlanta for the role of TI MOUNE in Once on This Island Broadway. Casting directors will want to hear your 16 bars a capella. In the event that we ask to see additional material with our accompanist, please bring sheet music. Please also bring a headshot (or snapshot) and a résumé stapled together.